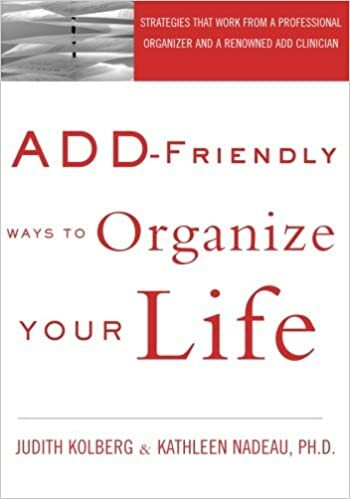 ADD-Friendly Ways to Organize Your Life: “The red book about ADD,” from Judith Kolberg, professional organizer and Dr. Kathleen Nadeau, Chesapeake ADHD Center of Maryland is getting updated and will include new sections. The book is slated to be out in late summer of 2016. Because ADD-Friendly Ways to Organize Your Life is a favorite book of my clients who have ADHD, when I heard about the book release, I wanted to interview her. My interview with Judith begins here in one of two articles. Judith is one who sees things before others do – a thought leader. Sharp eyes. Sharp mind. As I spoke with her, I imagined that she sees one thing or disparate things bubbling up, lightly then more, and she pays attention. Made me think of the image here. “Bubbling up.” Nashua NH Greeley Park Fountains. (c) Sue West. She forms her opinions, figures out what it means for you and for us organizers, and then she does something with all of this research and thinking: starts ICD, writes a book, develops a product, designs a new presentation. She is a giver; she educates, shares and bring people along as a visionary will do. Her energy is contagious when you’re around her, whether in person or by phone. Question for Judith: What Led You to Decide to Work on a New Edition? There’s so much more we know now about ADHD that the book really needs to include. We have more brain science and research to understand ADHD better and especially for adults. Executive functions as a framework – that’s new since we wrote the book together. Pharmacology includes time-release medications. And importantly, the 2013 DSM manual includes diagnostic criteria for adults, and not only for children. Technology of course has influenced all of us, and can be a huge assist to working memory issues people with ADHD have. Last, we organizers also know more about practical strategies and techniques we can use. For all these reasons, we knew it was time to update the book and we are co-authors again, Dr. Nadeau and I. We have each seen more in our own professions, too, so the voice with which the book is written is more seamless. I understand more about her world of psychology, the brain and the science; she understands and has more experience with practical organizational and productivity techniques. We do pass back and forth our sections and chapters to each other for review, and it’s been useful to that “one voice” we are intent on sharing with readers. What Can We Look Forward to in the New ADD Friendly Ways to Organize Your Life? With technology, we are in the “era of endless.” Never ending information coming at us. Never ending emails. Technology allows us to be available 24 hours a day, 7 days a week, whether we want those personal/professional lines blurred or not. Work creeps into all hours of our day if we let it. About 5 years ago, with encouragement and I’d say a bit of an “I dare you,” I approached Judith to ask if she would read and provide a review for my then, soon-to-be-published book. She not only did that, but we had a couple of conversations about creating a next chapter, how to know where to head next, and how organizing fits in so well. We’ve spent time together since then, mainly at ICD’s conference. A fascinating thinker, she has written and spoken recently about what she calls our “information afterlife,” i.e., digital estate planning. Many thanks to Judith, and please check out her sites: her organizing/productivity business is at this link. And her SquallPress book coaching and publishing site is at this link. Look for our next article where we discuss how Judith creates time to work on a big project like this. *ICD-educated organizers focus on people who have complex challenges with organization and productivity, sometimes as a chronic or lifelong challenge. Ours is a wholistic approach, and includes sometimes communicating with related professionals working with our client, often dealing with emotional, behavioral or psychological differences. Sometimes we collaborate together more extensively if needed.